The Trump cavalcade of homophobic cabinet members continues. 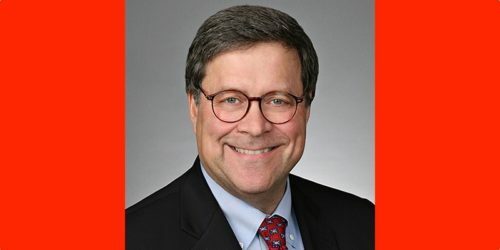 President Trump has announced that he will nominate William Barr, a former Attorney General under George Bush, to replace Jeff Sessions as Attorney General. While Sessions was vociferously anti-LGBTQ, Barr doesn’t quite rise to the same levels – but he’s definitely not an ally. “William Barr, who has wrongfully suggested that LGBTQ people – not Trump and his destructive policies – have harmed the United States, is the latest in a long line of replacements who President Trump has appointed to his Cabinet who are just as anti-LGBTQ as their predecessors,” Sarah Kate Ellis, President and CEO of GLAAD, said in an emailed statement. Delivered multiple speeches in the early ‘90s condemning the “permissiveness,” “sexual revolution” and “moral upheaval” that he insisted had led to America’s decline.